Use 1 to 2 shots (depending on length and condition of hair). After final rinse use men-ü DAILY moisturising conditioner or towel dry hair and apply men-ü SLIC (smooth leave in conditioner) and/or styling product. 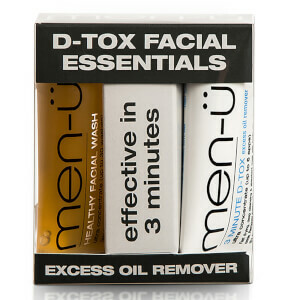 Save up to 50% off + Free men-ü D-Tox Facial Essentials (15ml) when you buy 2 or more men-ü products! Both gift and discount applied automatically. While stocks last.